Check out our Image Gallery of the 2012 A Midsummer Night's Dream Tour. In May of 2012 an ensemble of eight actors gathered under the guidance of director Jeffrey Golde to create A Midsummer Night's Dream. The classical tale was recreated with actors taking on multiple roles, learning new and old songs and approaching the staging in a reverse theater in the round style. The actors surrounded the audience at each location, occasionally walking amongst them and inviting them to sing as well. As the play came to an end with the setting sun, a circle of fairy lights surrounded the audience fully transporting them into the magic of the night. A Midsummer Night's Dream conveys three overlapping stories. First we are presented with a pair of lovers (Lysander and Hermia) that seem to have everyone against them, including the Theseus the Duke of Athens. As they bid their friend Helena, lovesick herself, good-bye, planning to run away to be together, we find that Helena is in love with Hermia's betrothed. In enter a group of "Rude Mechanicals" that have decided to craft a play for Theseus' wedding day. Quickly we discover they will rehearse the story of Pyramus and Thisbe in the wood, the same wood that our lovers are headed into to escape their fates. We follow the action into the wood where all is not as it should be. Oberon and Titania, King and Queen of the Fairies, are fighting. Oberon, determined to teach Titania a lesson with the aid of his sidekick Puck, plans to put Titania under a spell. As lovers and mechanicals and fairies collide in the woods magical mayhem transpires. The later the hour grows the stranger the events become, until dawn draws near and Oberon, having fallen out of anger with his queen, has Puck undo the magic, letting the mortals sleep off their strange night in the woods. As if to help the audience out of the bewitching scenes in the forest, Shakespeare adds a frivolous viewing of the mechanicals finished "play" as the young lovers, the Duke and his new bride all watch on as well. 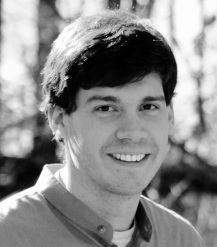 Jeffrey is the Executive Director and co-founder of Stone Soup Shakespeare. Previous directing credits include I Pagliacci, Two Gentlemen of Verona and a From Opera to Broadway. 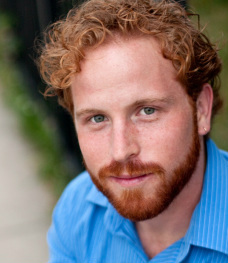 Acting credits with Stone Soup Shakespeare include Romeo and Juliet. New York credits include Two Gentlemen of Verona (Beyond Theatre Ensemble) Arthur Miller’s The American Clock and Off-Broadway as Romeo (Aquila Theatre) and in The Iliad (Aquila Theatre) and in Homer’s Odyssey (45 Bleeker). He has toured nationally in Comedy of Errors and The Iliad. 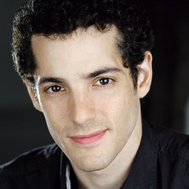 Regionally he has performed with the Shakespeare Theatre Company (DC). 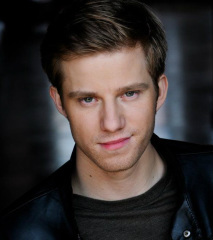 He is a graduate of Drama Studio London and a continuing improv member of Face-Off University in New York. Lauren is a senior studying Theater at Southern Illinois University. 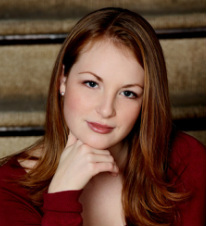 She has been featured in several new work plays and productions at SIUC such as Bananapocolypse (Holly/Rep. Daniels), God's Play (Chorus), and The Marriage of Figaro (Chorus). She is the president of the registered student organization Africana Theater Lab and works with her members in performing, producing, and directing showcases and productions each semester. Lauren was most recently featured as Hero in Much Ado About Nothing. 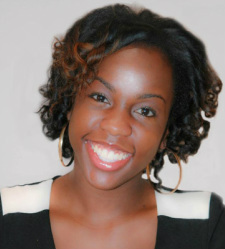 Lauren is constantly seeking to put God first in her life and strives for excellence. Sean is from a southwest suburb of Chicago called Lemont. He went to Lemont High School and graduated college at North Central in Naperville Illinois. 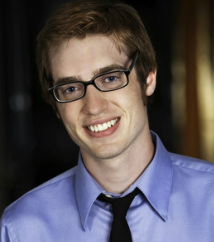 The first play he was ever in was “OKLAHOMA!” Sean enjoys working at Elim Christian Services in Palos Heights Illinois. Nicole is thrilled to be making her regional debut with Stone Soup Shakespeare, playing new roles in a familiar show. After completing her B.A. in Theater at College of St. Benedict in Minnesota, she became involved in the theater scene in the Twin Cities and then the D.C. area before landing in Chicago last fall. A lover of Shakespeare, some of her favorite past roles include Miranda in The Tempest and Rosaline in Love's Labour's Lost. 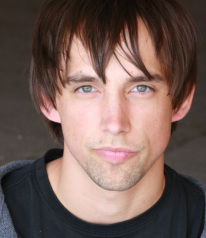 Ken Miller graduated from Millikin University with his B.F.A in Acting back in 2010. In 2008 Ken spent a semester studying in London where he participated in workshops at both the Globe Theatre and with Punchdrunk. Shortly after he moved to Chicago to work as an actor and has since worked with various companies around the city including Nothing Special Productions (The Alchemist) and most recently The Plagiarists (I Am Saying This Right Now). Benjamin Ponce, a native of Carbondale, Illinois, has been a part of many productions with SIUC, The Stage Company, Barn in the Barn, Carbondale Community Arts and Stone Soup Shakespeare; last year portraying the role of the Nurse in Stone Soup's production of Romeo and Juliet. He has received two Irene Ryan Acting Scholarship nominations and has studied Red Nose with mask master Paola Coletto, devised theatre with In the Heart of the Beast artists Sandy Speiler and Loren Niemi and playwriting with Neil LaBute. Other roles include Macbeth, A in Sarah Kane's CRAVE and Hassan Houkman in the premier performance on Everywhere You Look by Jeff Nichols. Originally from Tuscon, AZ, Chad now resides in Chicago where he was most recently seen in The Winter's Tale (The State Theatre). Other Chicago credits include Trogg! A Musical and Rudolph the Red Hosed Reindeer (Hell in a Handbag), Soul One (National Pastime Theatre), After the Fall (Eclipse Theatre) and Last of My Species (Redmoon Theatre). Chad holds a BFA from the University of Arizona. 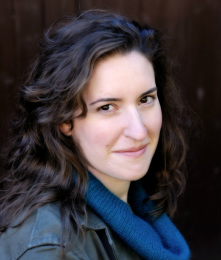 Julia is the Artistic Director and co-founder of Stone Soup Shakespeare, where she played Romeo in the 2011 Stone Soup Shakespeare Tour of Romeo and Juliet. Chicago credits include Naked Mole Rat Gets Dressed (Lifeline Theatre), Romeo and Juliet (First Folio) and Bluebirds (Red Tape Productions). Julia has also performed extensively in the Washington, DC area, Ireland and the UK. Her first role was in Carbondale, IL as a Gingerbread Child in Marjorie Lawrence Opera Theater's 1986 production of Hansel and Gretel. She holds a BA from Macalester College (St. Paul, MN) and a MA from the Royal Conservatoire of Scotland (Glasgow, Scotland).